This unbelievable spot, stain, and odor remover permanently removes oils, ink, grease, blood, urine, food and many other stains. Erase is fantastic for spot cleaning and water-safe fabric and can be used to remove diffcult spots from carpets, rugs, and upholstery. Erase deodorizes as it penetrates and cleans and wont leave any residue. 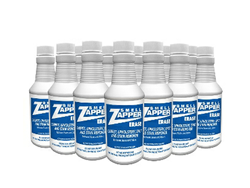 When used on carpeting, Erase restores nap and texture while freshening and removing the stains. Erase is free of chlorinated solvents. You'll be amazed!